If one thing is clear, is that 2008 is a year that fans of survival horror games remember fondly. This is because Dead Space was released that year, one of the best survival horror games to date, which is now free courtesy of EA Origin. Origin is Electronic Arts’ online game service, a rival to Valve’s world-conquering Steam, and sells digital copies of games for the PC and Mac platforms. It has a subscription-based service known as Origin Access (EA Access for Xbox One) which grants you access to a library of games for a yearly fee. But EA also gives away games every now and then as part of its “On the House” program, and Dead Space is the latest game to be offered for free to PC owners on Origin. As mentioned previously, this game sure caused a sensation back in 2008, and routinely tops the best survival horror games lists online. Actually, this is a game which has already achieved classic status in some gamers eyes. This is despite the fact that Dead Space is one of the most violent video games made in the last decade. You see, the game’s plot involves engineer Isaac Clarke’s efforts to escape the Ishimura, a “planet cracker” mining ship that’s been taken over by hideous creatures known as the Necromorphs. Isaac is told early on by colleague Kendra that the best way to kill the Necromorphs is to dismember them, and you get to use all sorts of mining equipment scattered over the Ishimura as improvised weapons in order to perform the bloody task. 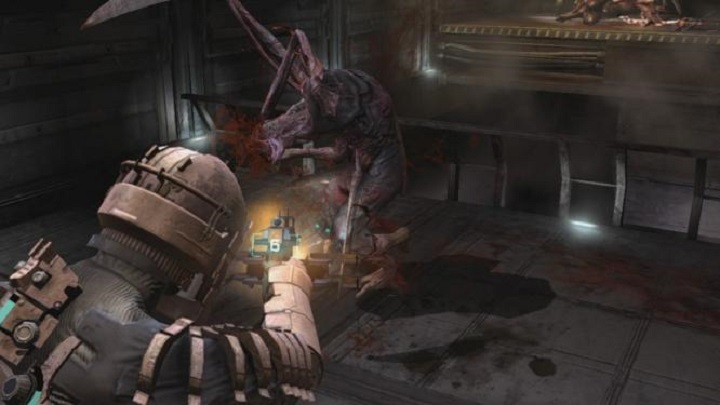 You can imagine this is a pretty violent and gruesome game, then… Dead Space also had great graphics back in the day that still hold up pretty well a decade later, and atmosphere you can cut with a knife, plus its setting the Ishimura is surely one of the best-realized video game locations of all time. Dead Space is a freebie not to be missed if you’re at all into this sort of game then, so make sure you grab your free copy from Origin by pointing your browser here. The game got two sequels (one in 2011 and another in 2013), which were not bad in any sense, although they sure failed to reach the heights of the original game and did not sell so well, leading to developer Visceral Games, the people behind the series, closure this year. It’s a mystery whether the Dead Space franchise will come back to consoles and PC someday, then. Here’s hoping, though, there’s enough gamer interest and publisher Electronic Arts decides to greenlight another Dead Space game in the not so distant future, but fans of the franchise can at least have fun going back to the original game thanks to EA’s free offer for the time being though.